Daily departure tours, start from your hotel. Halong Bay is a natural UNESCO world Heritage site just waiting for all tourists to explore. This 1 day tour from Hanoi is organized for travelers who have time limitation but still wish to enjoy the scenic Halong Bay in a day. Cooking Class & Tai Chi included. A 3 day off road Mountain Bike challenger trip covering over 160 kilometers of fire road through pine forested hills and rain forested valleys, single track and trails use by local people. 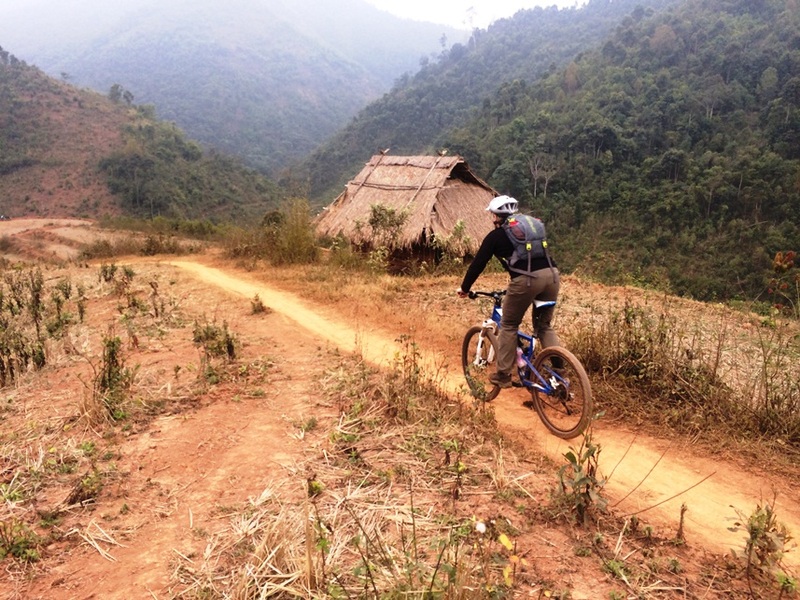 The best of off road mountain biking trip around Hanoi, truly mountain off road biking trip in Vietnam. Transfer to Hoa Binh. Start riding ,It’s a fascinating drive past many minority villages as we climb onto a higher plateau. We ride pass coffee and tea plantations before arriving in the Baixang for lunch. Afternoon continue cycling to MaiChau village. Driving to Mochau. Over night in hotel in Moc Chau. After breakfast driving 16 km, then continue in the off road to Mai Chau without car stand by. ( +-40 km off road, single track,car track ), making this a day not to be forgotten. We cycle past rice fields. There are two hard climbs today the first starts after 17 km with a 3 km ascent but the second, and most challenging comes at the end of this stunning day, with an 4 km strength-sapping climb. 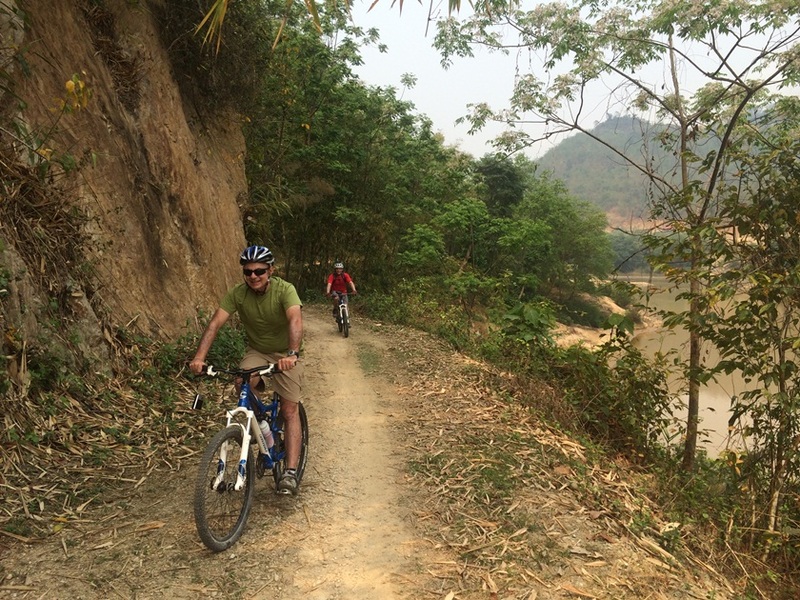 We finish the day with a stunning descend on road to Mai Chau . We start driving from village with 15 km to mountain pass. Then we cycling down hill on the jeep track ( +- 15km) to Kho Muong, one of the most beautiful terrace rice field in Vietnam. 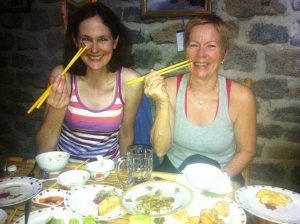 After a biking and ride along a mix of dirt tracks and tarmac trails through Thai village and across rice paddies to Pho Doan We have lunch and return to Hanoi by Car. Arrival Hanoi around 6 Pm, end of service. This tour offers challenging cross country mountain bike and a wonderful opportunity to experience the traditional and varied lifestyles of the people of this spectacular country.